A tiny tidbit to lessen the Boyega as “son of Lando” rumors and assumptions. It was bound to happen as fans assume everyone in the galaxy must be related. Sure, Star Wars is a series about family, but it doesn’t mean everyone is biologically connected. This week we saw the rise of a few different places stating John Boyega must be the son of Lando because both characters are black. The same happened with Captain Panaka for Episode I, even giving birth to the “Grando” rumor. Jason this should help on the “son of Lando” front. 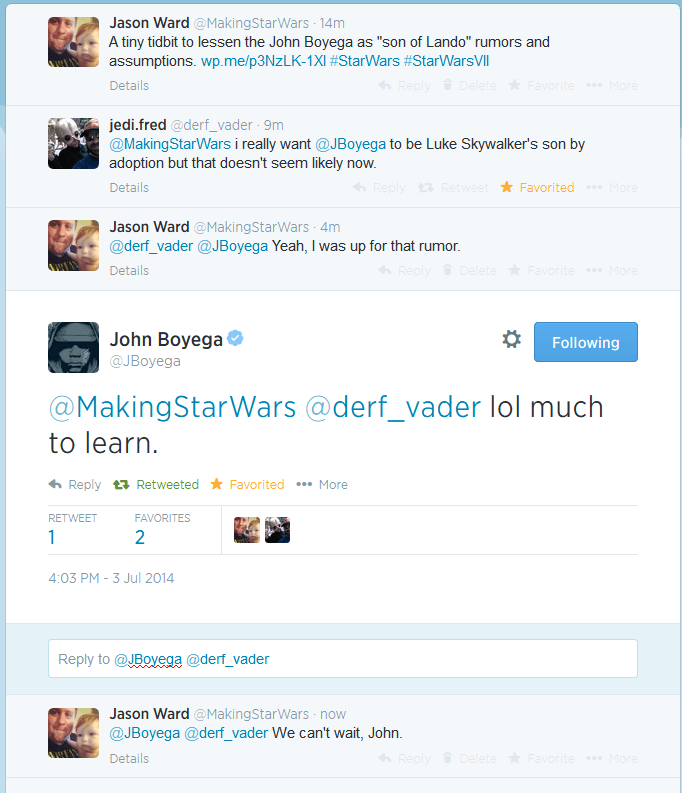 Boyega faved my tweet ranting on this son of Lando stuff and he apparently agrees. I tweeted him right after he revealed that his father was there on set. I’m calling BS. 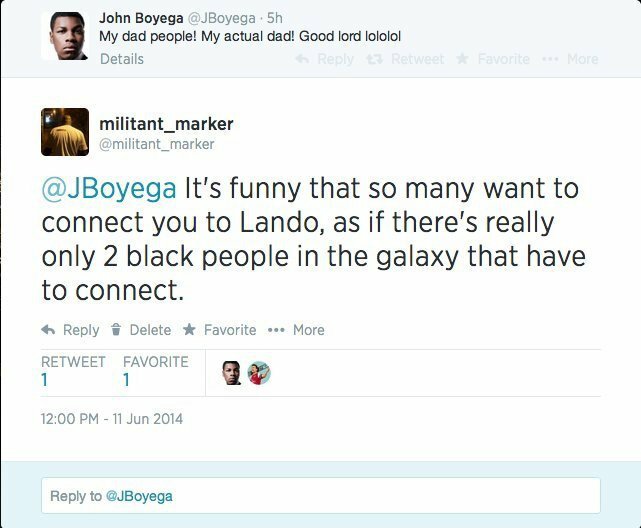 While it isn’t a slam dunk denial, I don’t see Boyega liking that tweet if he was in fact playing Lando’s son. If anything he would try and dodge the issue entirely. Once again, it isn’t rocket science, but it is worth sharing. Thanks to Militant_Marker for bringing this to our attention! Believe me, he’s Lando’s son. Makes no difference in this case, Boyega is playing Lando’s son.